golf, tennis, table tennis, softball, grandkids, travel. Relieved here in Tucson. Must have periodic pictures of the mountains. Snow does not look white in the first couple photo's. Are you using a a filter or are atmospheric conditions doing this? Unless you have a fuel injected engine. Fuel pump quits in a CTLSi - engine quits - unless second fuel pump is on. Plastic garbage bags work really well and don't add much to the weight. I would think they did a toxicology report. Hard to explain his behavior since they did not find anything definitive in their post accident report. Thanks for posting. Still got in 18 holes of golf. You can still mow the lawn - right after you shovel the snow! Service Ceiling | Definition of Service Ceiling by Merriam ... www.merriam-webster.com/dictionary/service ceiling Service ceiling definition is - the altitude at which under standard air conditions a particular aircraft can no longer rise at a rate greater than a small designated rate (such as 100 feet per minute). Some of the planes I have flown show the service ceiling at the altitude at which you can no longer maintain a climb rate of 300fpm. I imagine each plane has a different definition but it is usually based on the max altitude that you can maintain some predetermined climb rate. The 10 inch skyview is really good. To convert to ADS-B it is only a different antenna - $600 from Dynon. 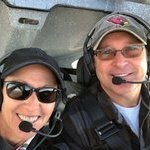 The skyview systems I have seen have a Dynon autopilot operated from the screen soft keys. Also map updates are free as opposed to Garmin equipment where you have to pay for a subscription. The skyview system shows TFR's and weather among many other things. I highly recommend the skyview system. Roger Lee and I plan on being there Friday morning around 0840 for breakfast and a look about. Would be good to see you again. 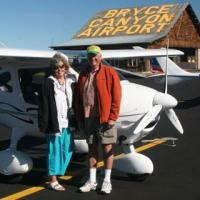 Anyone besides myself going to Copper State Fly-In at Buckeye Airport, AZ? It's Feb 7,8, & 9 and the airport is just west of Phoenix. https://www.copperstate.org/flying-in/ Hope to see you there.